Fourteen years. That’s how long we waited for the return of The Incredibles. In case you are too young (or have been living under a rock), Disney Pixar’s awesome family of superheroes is back in a sequel that puts Mum (Elastigirl) in the limelight. Dad (Mr Incredible) is a stay home father who has to take care of the teenage kids (Violet and Dash), as well as an infant baby (Jack Jack) who is waiting to show the world his superpowers. Composer Michael Giacchino (Coco, Zootopia) is back to score the music, and it does not disappoint. Having garnered several prestigious recognitions (including an Academy Award, an Emmy Primetime Award and three Grammy Awards), you can bet this soundtrack will be a incredible ride. Like the 2005 album (which was nominated for Best Score Soundtrack Album and Best Instrumental Composition at the Grammys), the music is brimming with jazz, energy and fun. There is a sense of nostalgia as you listen through the 75 minutes of music presented on the album. From the opening cue “Episode 2” to the playful tracks that follow (“This Ain’t My Super Suit?”, “World’s Worst Babysitters” and “Elastigirl’s Got A Plane To Catch” are particularly action packed and exhilarating), it is a audio adventure from beginning to end. “Incredits 2” is a perfect summary of the album’s themes. Giacchino, who is known for his pun filled track titles (see Rogue One: A Star Wars Story), is again on form. We love the wittily named “Renouncing The Renunciation”, “A Bridge Too Parr” and “Out And A Bout”. 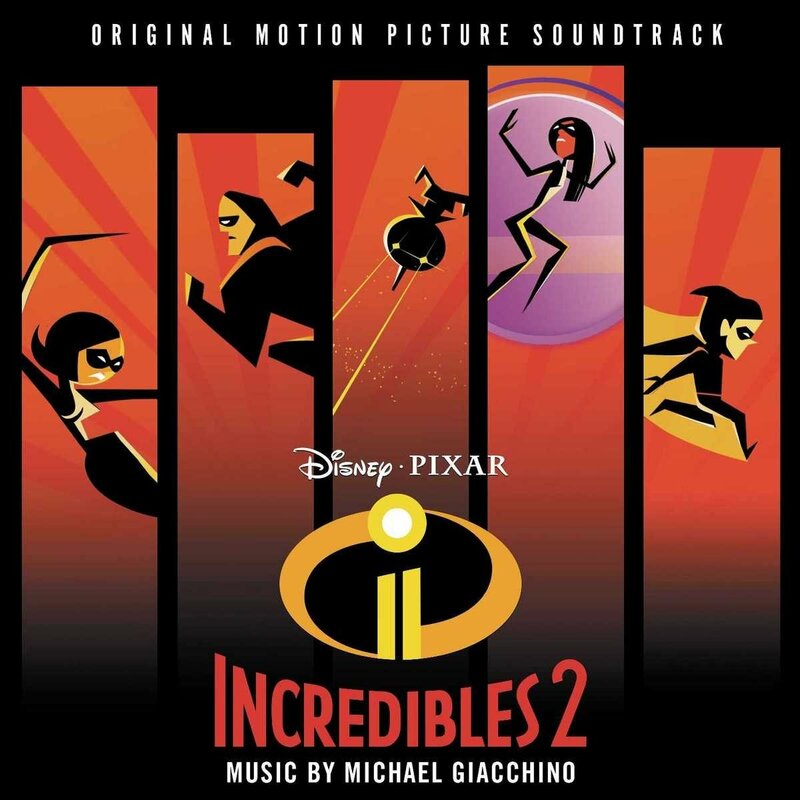 There is also the inclusion of vocal tracks which remind you of old school spy movies: “Here Comes Elastigirl – Elastigirl’s Theme”, “Chill or Be Chilled – Frozone’s Theme” and “Pow! Pow! Pow! – Mr. Incredible’s Theme”. With music this cool and suave, the world is indeed incredible again!